President Donald Trump still has confidence in the U.S. Department of Veterans Affairs Secretary David Shulkin, MD, despite claims Shulkin could be out as early as some point this week, according to White House Deputy Press Secretary Hogan Gidley. For the past month, rumors have circulated around agency infighting and speculated that Shulkin may have fallen from Trump’s graces. 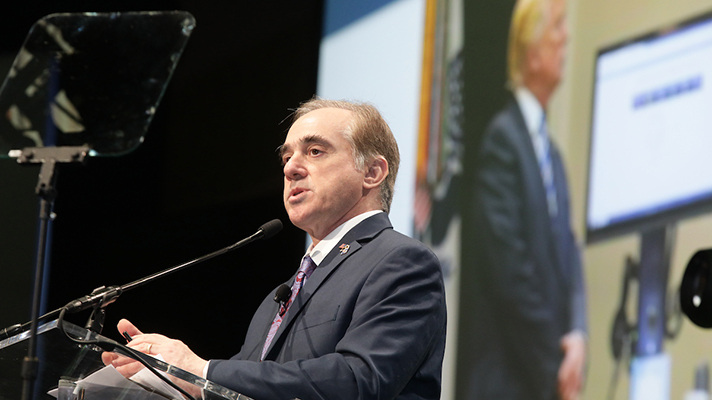 The rumors stem from a VA Office Inspector General report that alleged the secretary misused federal funds on a European work trip this summer and from Shulkin telling the media he was given the power to fire underperforming staff, although there was no approval to do so. Shulkin just last week apologized for the distractions these allegations have caused while pushing forward on the agency’s electronic health record and other IT modernization plans. On Sunday night, however, AP reported that sources familiar with the situation said Shulkin could be out this week. But when pressed this morning, Gidley remained firm.